JAKARTA (Reuters) - Go-Jek, Indonesia's first billion-dollar startup, is "extremely close" to achieving profitability in all its segments, except transportation, its founder and CEO Nadiem Makarim told Reuters. Launched in 2011 in Jakarta, Go-Jek - a play on the local word for motorbike taxis - has evolved from a ride-hailing service to a one-stop app allowing clients in Southeast Asia's largest economy to make online payments and order everything from food, groceries to massages. "We're seeing enormous online to offline traction for all of our businesses and are close to being profitable, outside of transportation," said the 34-year old CEO. The startup is expected to be fully profitable "probably" within the next few years, Makarim added. "Since its Aug. 1 launch, the app has already grabbed 15 percent of market share in Ho Chi Minh," Makarim said. The firm this week opened recruitment for motorcycle drivers in Thailand. "We're bringing back choice. 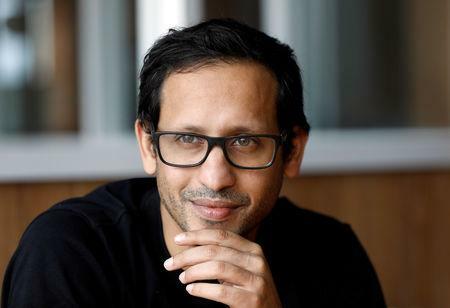 The Singapore government is particularly eager to bring back competition," Makarim said, adding that the order of overseas rollouts had not been set. Go-Jek's offshore push comes at a time when Singapore-based Grab is stepping up funding to expand in Indonesia and transform itself into a consumer technology company, starting with a partnership with online grocer HappyFresh. "Mimicking Go-Jek's strategy is the highest form of flattery," laughed Makarim. He believes Go-Jek's understanding of food merchants will give it an edge over Grab, which counts investors such as Chinese ride-hailing firm Didi Chuxing and Japan's SoftBank Group Corp among its backers. Makarim, who sees food delivery as Go-Jek's core business, said he was not concerned about funding, without giving details. Go-Jek was reported in June as being in talks to raise $1.5 billion in a new funding round and was valued at about $5 billion in a prior fundraising, sources have told Reuters. The firm had said in March it was considering a domestic IPO. Makarim noted Go-Jek's backers were sharing both capital and expertise. The company is collaborating with Alphabet Inc's Google on platform mobility, Tencent on payments strategy, JD.com on logistics operations, and Meituan Dianping on merchant transactions and deliveries. 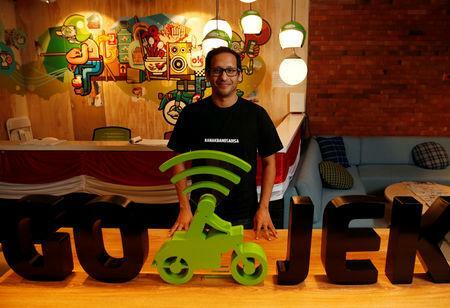 Go-Jek has set up a venture capital arm, Go-Ventures, to invest in startups in Southeast Asia "with strategic importance to our business", the CEO said.